A big church in a small building, where we see God’s love in action. 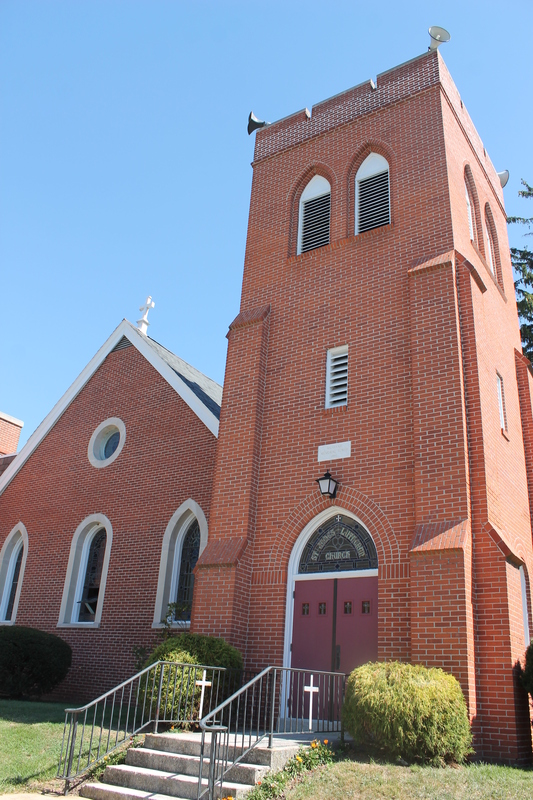 Welcome to St. James Lutheran Church! If you have clicked and read this far, I invite you to come and explore our humble website and perhaps come and join us for worship. Central to our worship are things the world would not consider “religious” things, such as words, water, bread, and wine. However, through these things we are gathered and within them the full truth about ourselves is revealed: sorrow, hope, hunger, loneliness, sin, forgiveness, death, and life. God in Christ Jesus comes amidst these things wherever folks are gathered around them and His mercy for us is revealed. We invite you to participate in receiving the fullness of God with us here at St. James. Worship here at Saint James Lutheran Church is each Sunday morning beginning at 10:30 am with Sunday Church School beginning at 9:15 am. During the months of June, July, and August our worship time is at 9:00 am and there is no Summer Sunday School. Please read on and come and worship with us.